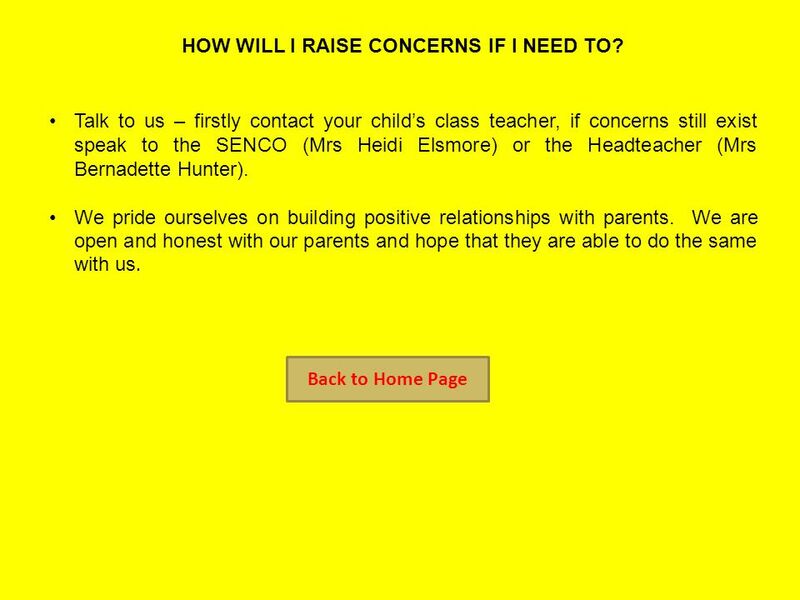 William Shrewsbury Primary Local Offer How will I raise concerns if I need to? How will school support my child? Who will oversee, plan and work with my. 1 William Shrewsbury Primary Local Offer How will I raise concerns if I need to? How will school support my child? Who will oversee, plan and work with my child and how often? Who will explain this to me? What support can the school provide to avoid exclusion and improve attendance? 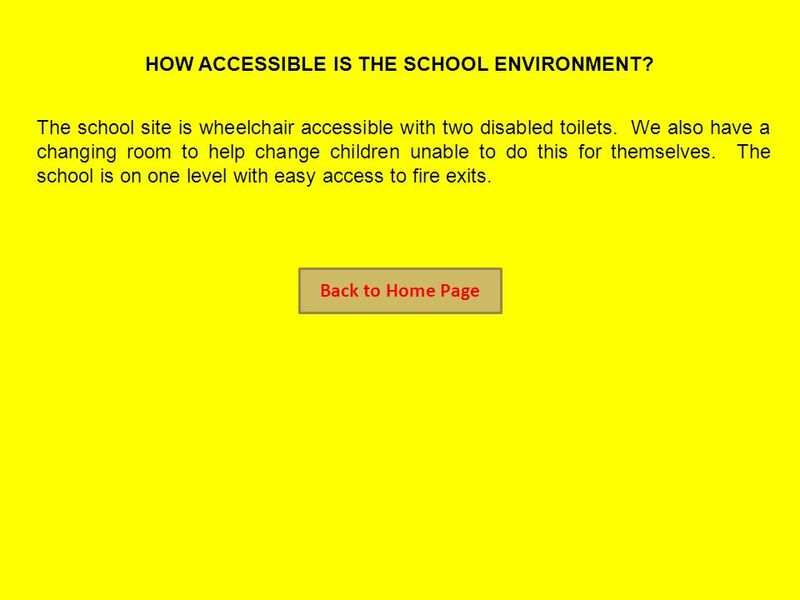 How accessible is the school environment? Accessible and Open and Honest Communication How do we know if the additional support has had an impact? What training have the staff supporting children with SEND had or are currently having? What support will there be for my child’s overall well being? What is the pastoral, medical and social support available in school? How does the school know how well my child is doing? How will my child be included in activities outside the classroom including school trips? Appropriate and Effective Teaching and Learning How is the decision made about what type and how much support my child will receive? How does the school know if children need extra help and what should I do if I think my child has special educational needs? A Partnership Approach How are the Governors involved and what are their responsibilities? How will the school prepare and support my child when joining the school and transferring to a new school? 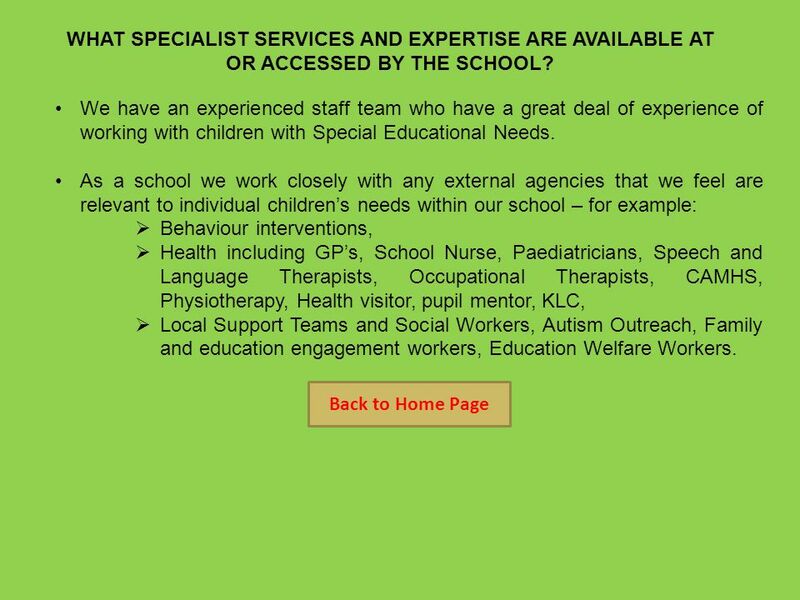 What specialist services and expertise are available at or accessed by the schools? How will my child be able to contribute their views? How will I know how my child is doing and how will you help me to support my child’s learning? What opportunities will there be for me to discuss my child’s progress? 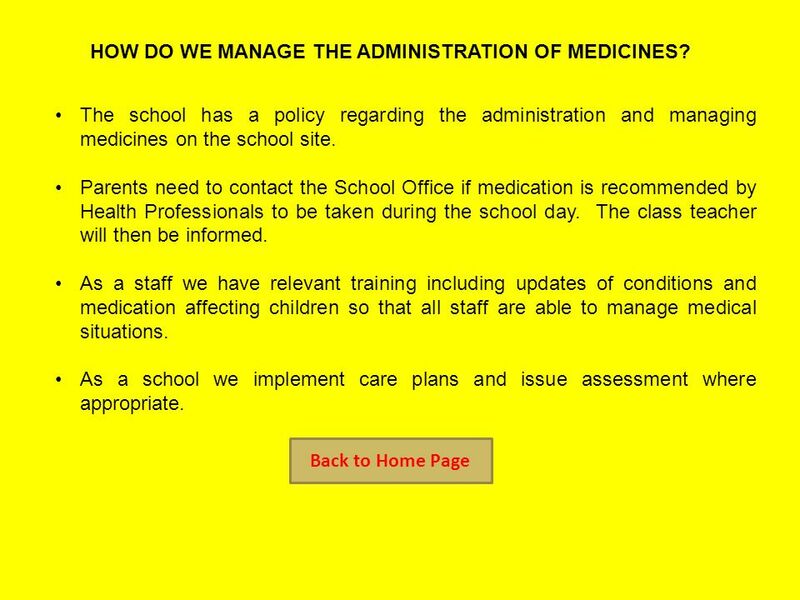 How do we manage the administration of medicines? 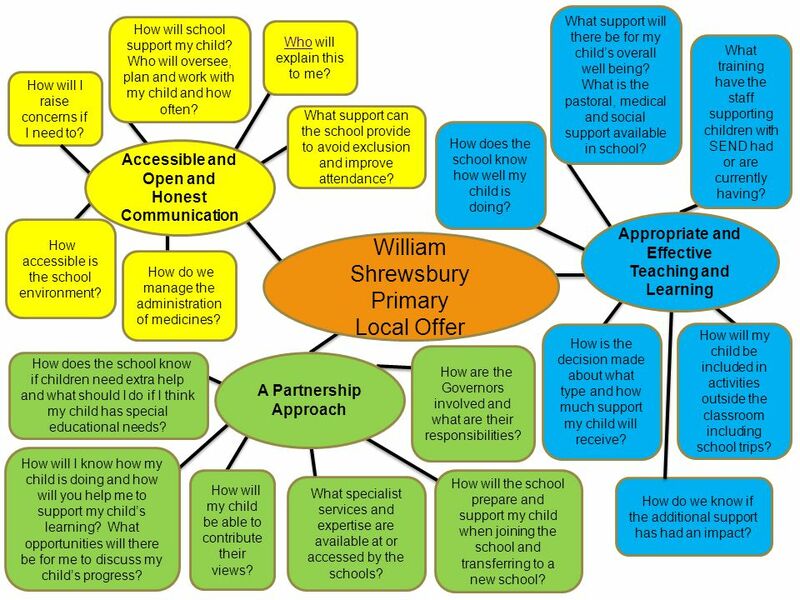 Download ppt "William Shrewsbury Primary Local Offer How will I raise concerns if I need to? How will school support my child? Who will oversee, plan and work with my." Supporting the education of looked after learners Rob Mills LAC Education Coordinator. School Offer The Federation of Newent Schools How does the school identify that children have Special Educational Needs and Disabilities (SEND)? What should. We are an inclusive school, aiming to support all children and their individual needs, with high aspirations. The Code of Practice identifies four broad. Burnside Primary School Local Offer Parent Information Special Education Needs and Disabilities (SEND) Local Offer Introduction All Sunderland Local. Special Education Needs Information Report This document provides information regarding what help there is for children and young people with Special Educational. 15/18/2015 Roseberry Primary School SEND Offer. Roseberry Primary School Core Offer All children could have access to: Breakfast club After school clubs. Leigh Beck Infant School & Nursery School SEN Information Report Special Educational Needs and Disabilities (SEND) – Local Offer. Appropriate and effective teaching and learning Appropriate and effective teaching and learning A Partnership approach A Partnership approach Open and. 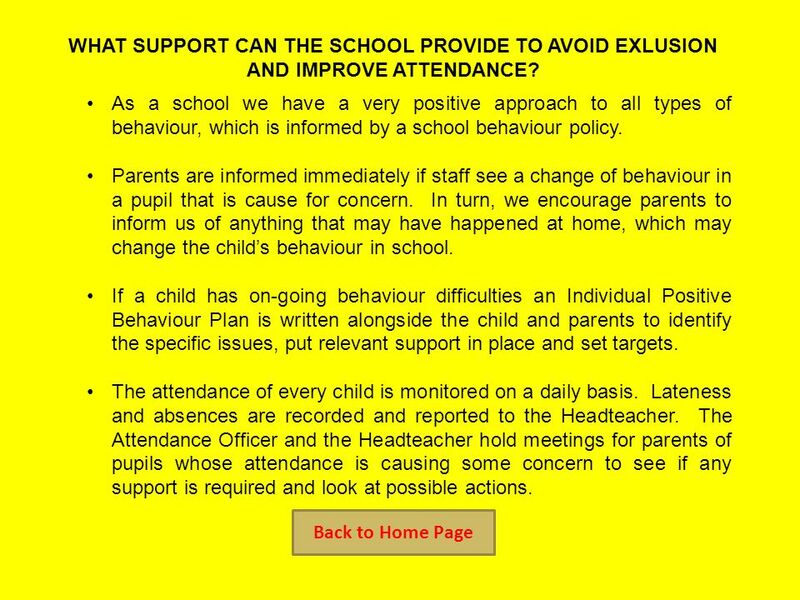 Aldeburgh Primary School Offer How does the school know if my child needs extra help? What are the arrangements for the resolution of disagreements? What. 1 Kinds of Special Educational Needs that are provided for at Gorse Covert Primary School The SEN Department provides support for pupils across the 4 areas. Selly Oak Nursery School What can I expect of Selly Oak Nursery School if my child has Special Educational Needs? Open and honest communication A partnership. Diamond Hall Infant Academy 2014 SEN INFORMATION REPORT. 18/24/2015 St Cuthbert’s RC Primary School ALL teachers at St Cuthbert’s RC Primary School: Use their best endeavours to ensure that the necessary provision.